Marshall Goldsmith, America's best-known executive coach, recently interviewed Dr. Thomas about his work with executives. The article appears on BusinessWeek.com. Read the article. 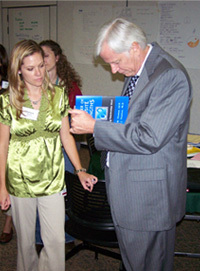 "Dr. Thomas reaches all members of his audience and inspires them to look deep inside to understand themselves, their tendencies, and how they can fulfill their relationships, both personal and professional." 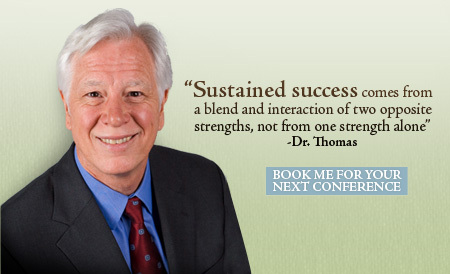 "Opposite Strengths, Not Strengths and Weaknesses"
You found Dr. Thomas and liked what you saw. Now share his site with someone you know.